Our goal is to provide a one stop shop for all you POSTAL needs. Delmarva Mailboxes & More offers several programs to make mailbox management simple for HOA’s and Property Management Companies. Full Mailbox / Signage Replacement Projects – This program is designed for communities looking to completely revamp the mailboxes or signage in their community in a single or phased project. Support individual mailbox replacement, by offering a quality product and service to communities who are not interested in a full replacement, but rather would like a dependable company where they can refer their home owners. Let us tell you if we can match your existing mailboxes. We have many mailbox styles which are not featured on our website. 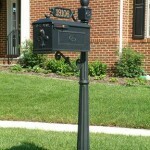 Give us a call or email a photo of your community’s mailbox and we will help you determine the best solution. 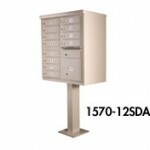 Cluster Box and Concrete Pad Replacement- Delmarva Mailboxes & More is a full service construction company when it comes to replacing those old, outdated, rusted Cluster Box Units throughout your neighborhood. We can demo existing concrete pads and pour new ones that meet current USPS guidelines. Demo and replacement is done with little or no interruption to mail delivery. 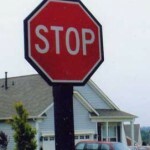 Often, the mailboxes and street signs chosen by local builders and developers fail to meet the expectations of their buyers. 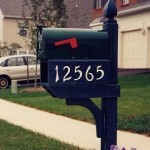 Over time low cost mailboxes either rust or rot and begin to hurt the burb appeal of the community. Your mailbox is the hood ornament of your home. Let Delmarva Mailboxes & More transform your community and show you why we are the leader in the Mid-Atlantic area. Call us today, 571-379-8454. We can guide you through the process and assist you in making an informed decision.